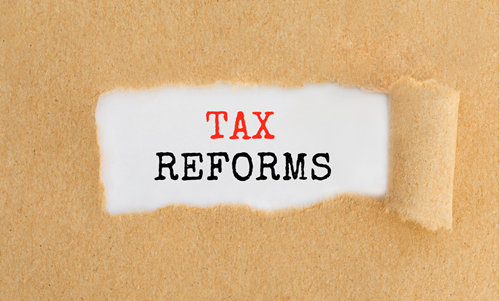 The new Tax Cut and Job Act (TCJA) changes several business tax regulations. Below are some of the most significant business tax changes under the TCJA. These changes will affect business activities after Dec 31, 2017, unless noted otherwise. #1. The new law reduces the C Corp. tax rate to a flat 21%. As noted in our last blog post on the TCJA changes for pass-through entities, those entities get a special 20% reduction for owners’ to take, with some limitations. #2. TCJA eliminates the corporate alternative minimum tax (AMT). Under the TCJA, after this year, the corporate AMT is no more. #4. After 2017, entities, generally, can carry a Net Operating Loss (NOL) forward, not back. As a bonus, taxpayers can carry forward the NOLs indefinitely. Prior to TCJA, the IRS restricted NOLs to a 2-year carry-back, 20-year carry-forward timeframe. In the past, the NOLs expired after the 20-year mark. #5. The new law eliminates deductions for business entertainment. Under TCJA, businesses cannot deduct expenses related to amusement and recreational facilities, membership dues, etc. Those booster seats and club-level suites will take a big hit with this change. Traditional business (travel) meals keep the 50% deduction. #6. The new law increases sec. 179 expensing. Businesses can expense up to $1 million under sec. 179. If a business places more than $2.5 million of property into service during the year, it must reduce its $1 million sec 179 deductions by the excess over $2.5 million. Additionally, the regulation expands to cover certain property placed into service related to furnishing lodging. Furthermore, a business making certain improvements (roofing, HVAC) to nonresidential properties can expense those improvements, as long as the improvements do not enlarge the building and are not structural in nature. #7. TCJA increases the depreciation limit on luxury auto purchases.If a business purchases a passenger vehicle, which falls under the luxury auto definition (and does not claim the bonus depreciation), the new law increases the max depreciation allowance to $10,000 (for the first year the business places the vehicle in service), $16,000 for the second year, $9,000 for the third and $5,670 for the fourth and later years. The maximum first-year bonus depreciation allowance remains at $8,000. #8. The new tax law limits like-kind exchanges. The TCJA eliminates like-kind exchanges for any transactions aside from real property. Under the new law, the use of like-kind exchanges, a technique used to defer a gain on the sale of property, is limited. The new regulations will permit only like-kind exchanges of real property not primarily held for sale. In the past, tax law allowed entities to use this technique for like-kind exchanges of personal property as well. #9. TCJA expands bonus depreciation rules. With this new law, entities can take a 100% first-year deduction for qualified property acquired and placed into service after September 27, 2017, and before 2023. Under the new law, regulators expanded the type of property covered to include used properly. Prior to TCJA, the law provided for a 50% allowance on only new property. #10. The new law places a limit on business interest deductions. If an entity has average annual gross receipts in excess of $25 million (averaged over three years), it will now have limited interest expense deductions. Any business with disallowed interest under this rule can carry the interest expense to the following year and forward indefinitely. The regulation limits the business interest deduction to 30% of adjusted taxable income for entities not covered by the limitation. If you need help understanding how these new tax changes will affect your business, please contact us.